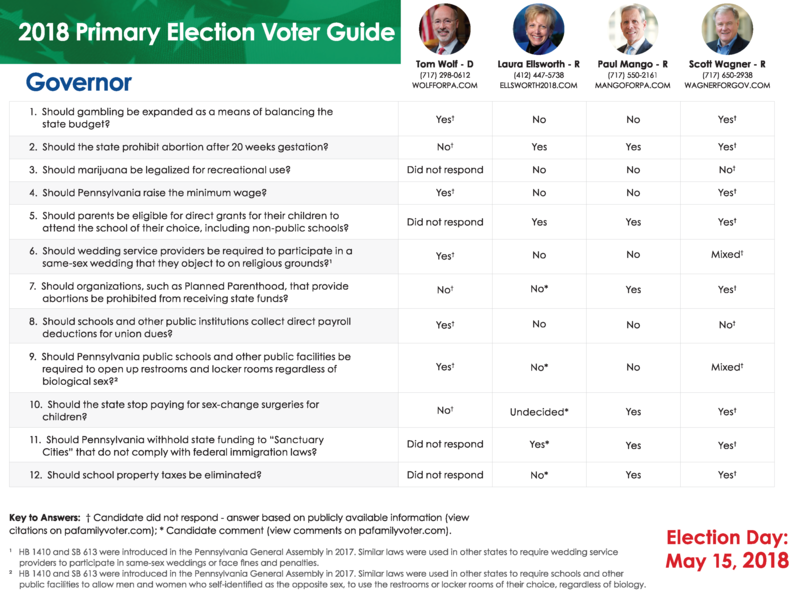 We’re glad you’ve come to our 2018 Primary Voter’s Guide to find out more about the candidates appearing on your ballot. By doing so, you are demonstrating your commitment as a citizen to be involved by voting intelligently. Thank you! This Voter’s Guide is factual, impartial, and nonpartisan. All candidates were treated equally and provided with the same opportunity to respond to the questions. For those candidates from whom we did not receive responses to the questionnaires, we have provided answers based on publicly available information, which is linked to their answer with a small book icon. Click on that icon for the source. In Pennsylvania primary elections, only voters registered in the two major parties (Democrat and Republican) are eligible to participate, and can only vote for candidates in the party in which they are registered. Winners of those races will then appear on the General Election ballot in November. Thus, as you begin, enter your address, and then select, based on your party registration, which ballot (and candidates) to view. Create an account to save your ballot choices and print. Once you log in, you’ll see a print icon above the Biography and Questionnaires tabs. 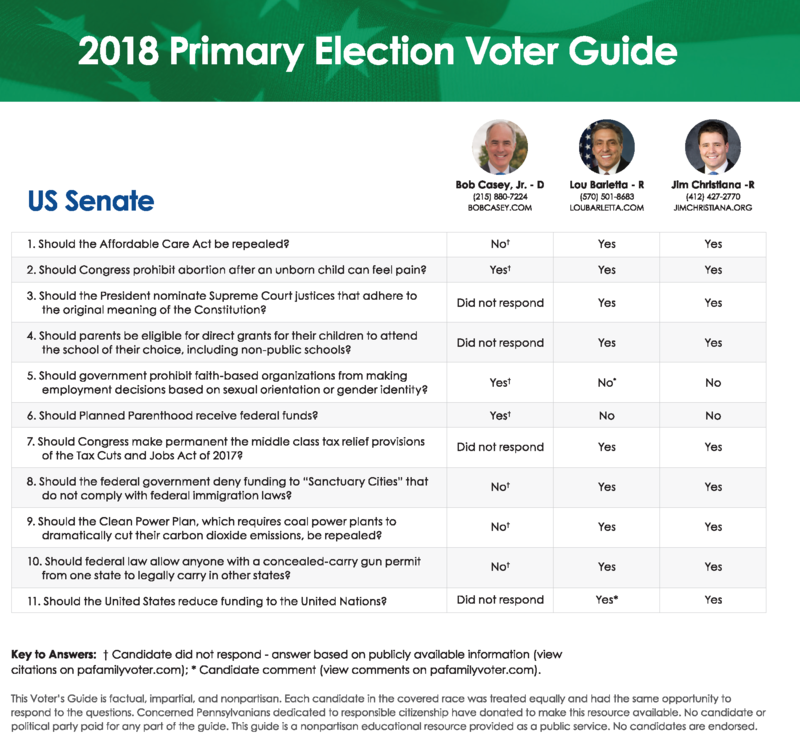 We recommend you click on that print icon for each race so you can review all the candidates and their responses to our voter’s guide questions. Click here for the online voter’s guide. To access our full voter’s guide, click here.